Hospice is an approach to patient care that focuses primarily on comfort and dignity, not a cure. 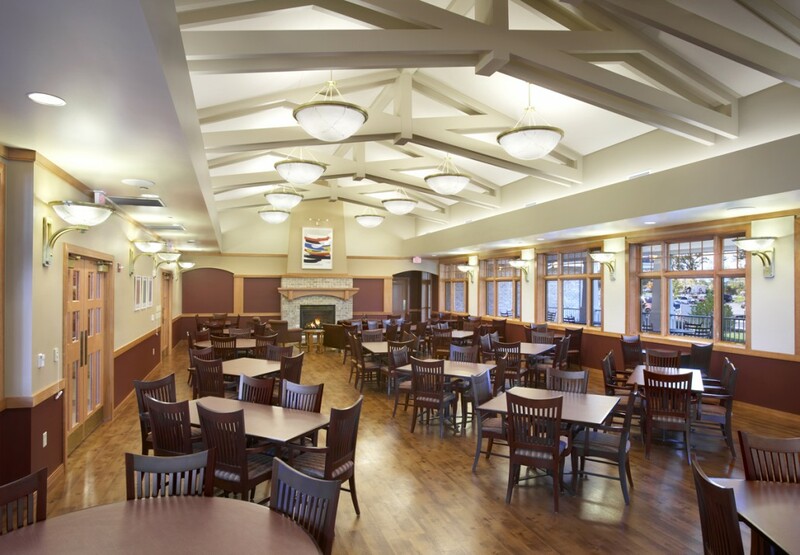 Due to growth and an increased demand for acute care facilities, Agrace HospiceCare selected Potter Lawson to design a major expansion to their facility in Fitchburg. 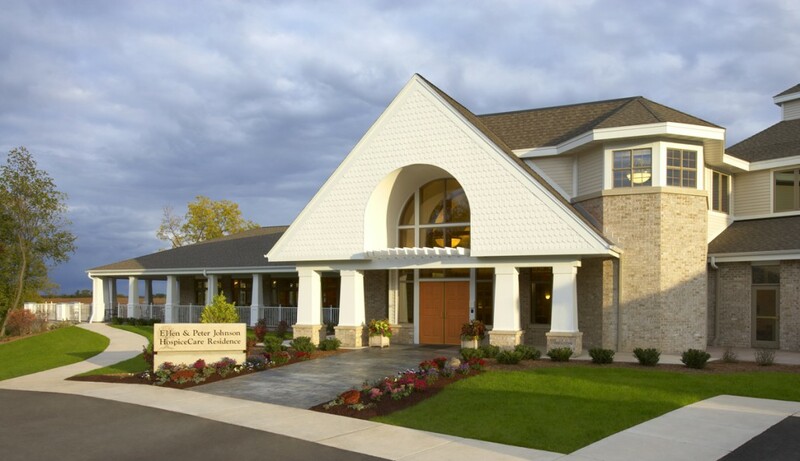 The Ellen & Peter Johnson Agrace HospiceCare Residence is an option for patients with an anticipated life expectancy of six months or less. 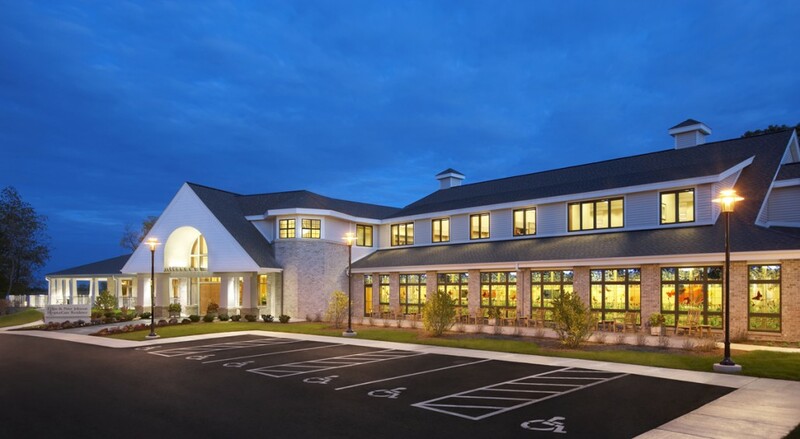 The 91,000 square foot residence features 32 patient beds and more than doubles the footprint of the original facility on the Agrace HospiceCare campus. In patient rooms, artwork conceals med gas equipment so they are easily accessible, but out of sight until needed. This is just one example of the attention to detail that Potter Lawson infused throughout the building. 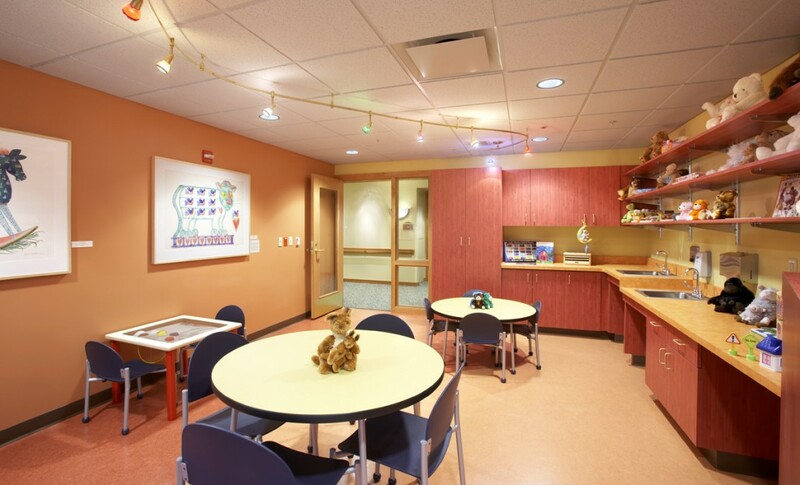 Each grouping of eight patient rooms has a kitchenette, a spa, and a family room. 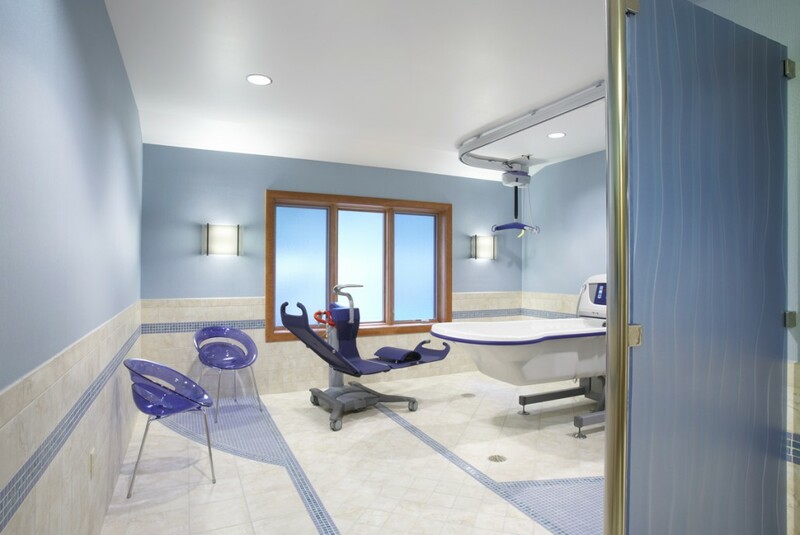 The state-of-the-art spas are designed to calm and relax the senses, while allowing patients to be lifted and submerged in a therapeutic bath (a luxury for patients who are otherwise unable to bathe themselves). 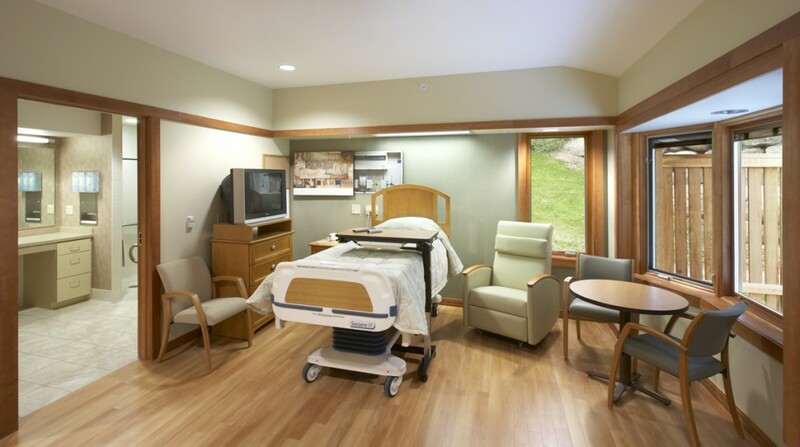 Patient rooms are equipped with a sofa that opens into a bed for overnight guests. 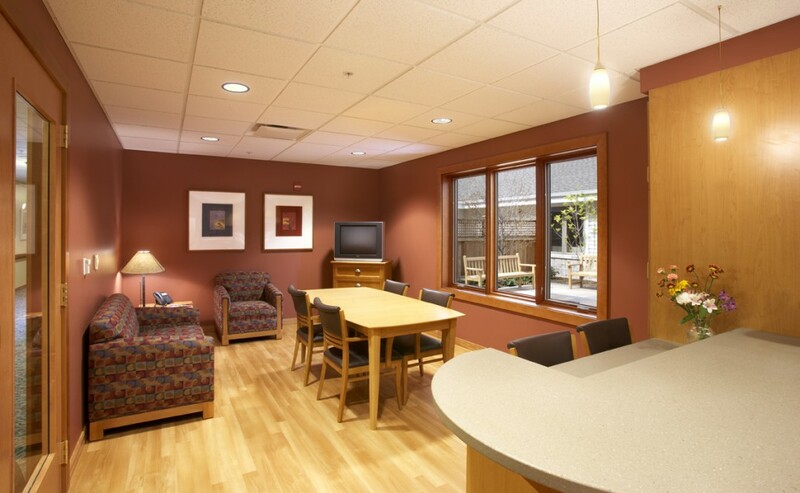 Wide doors allow beds to be rolled out onto private patios, so bedridden patients can enjoy the outdoors. The dining room seats 150 people inside and has a surrounding exterior veranda for outdoor use. There’s also a library, the Doc Rock Cafe/coffee shop, a children’s play room, hair salon and gift shop. 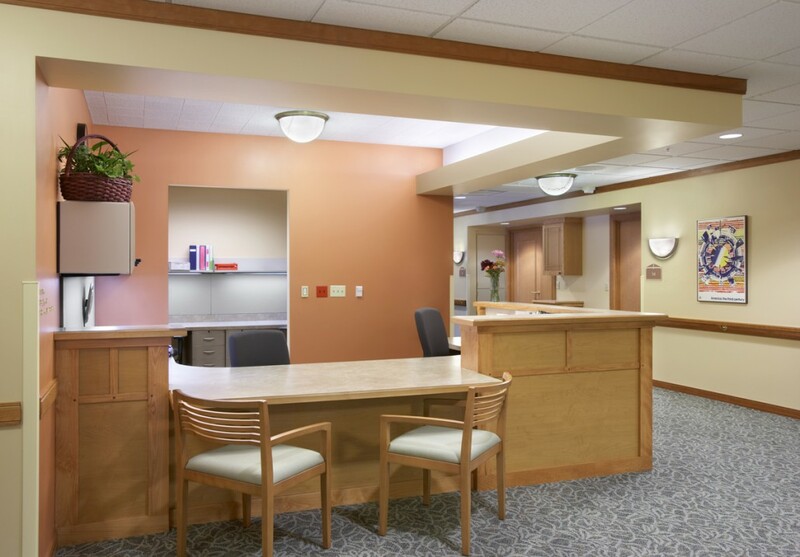 The facility also has a central, two-story administrative office area for the professionals and volunteers who work both in the center as well as provide in-home care throughout Dane County. Working together with HLM Design, the building design accommodates future expansion.